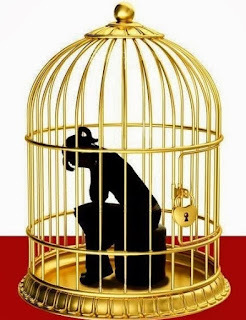 PRINCESS' LOGICS: Little Birdie & Golden Cage! "A cage is a cage, even if it's golden", was it a quest? A quest that was hard to unveil and demystify? Had they thought the world was easy to defy? While hoping from the cage, her "leap of freedom!" Most beautiful thing I have read!!! It is so perfectly expressed! !